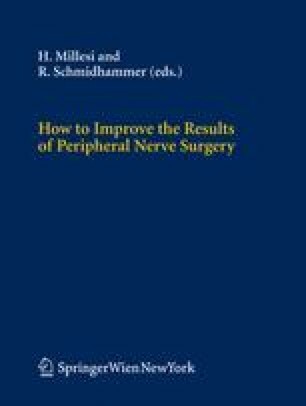 In peripheral nerve surgery main attention is frequently paid to surgery on the nerves, and possibilities to increase the chances of useful recovery by surgery on the muscles are often overlooked. Overstretching of paralyzed muscles reduces the chances of useful recovery even if the nerve regenerates well. The same is true if the paralyzed muscles have to work against an overwhelming force of antagonists. The weak force of a regenerated muscle can significantly be improved by synergistic muscle transfer. Different possibilities in this regard are demonstrated by typical cases.